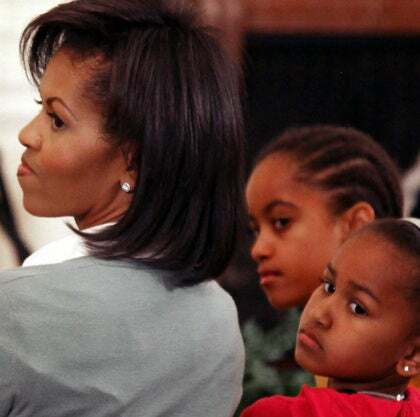 Each time we see First Lady Michelle Obama out with her daughters, Malia, 17, and Sasha, 14, we're reminded of the beautiful bond mothers share with their little girls—who are growing up so fast (OMG, Malia is going to college?!) Join us in looking back at the First Lady and her daughters' sweetest moments. Flashback! 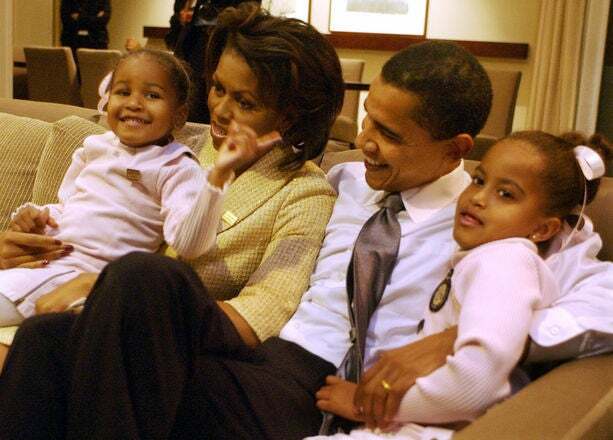 Then-Illinois Democratic U.S. Senate candidate Barack Obama, seated next to his wife Michelle and their daughters Sasha, 3, and Malia, 6, wait for election returns in a Chicago hotel, November 2, 2004. 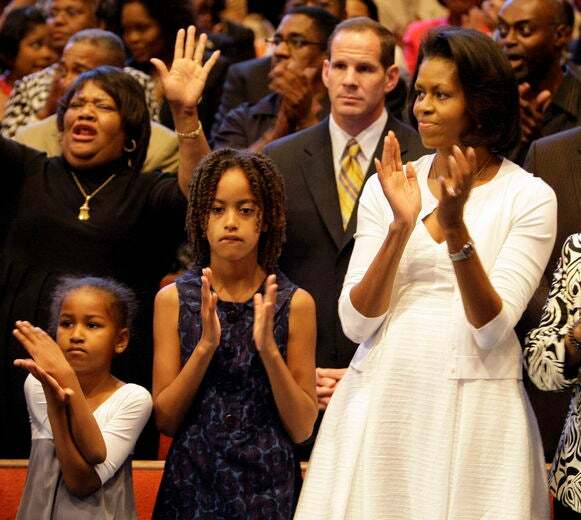 Michelle Obama and her daughters enjoy a lovely hometown church service at Apostolic Church of God in June 2008. 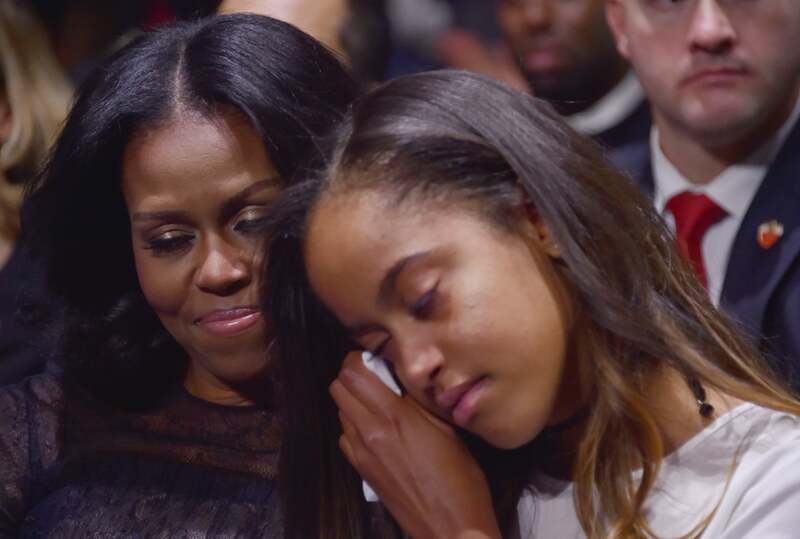 Mrs. Obama and daughter, Malia, look on as their father gives a heartfelt speech on his presidential campaign trail in Oskaloosa, Iowa on July 4th, 2008. 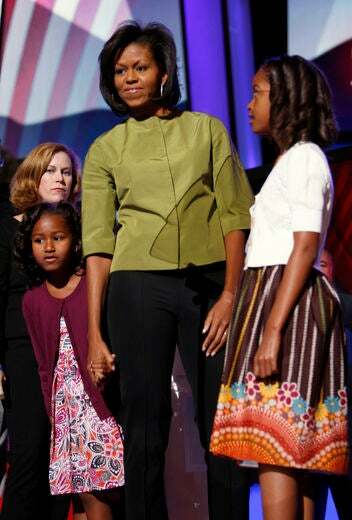 Michelle Obama firmly grips little Malia’s hand while attending the Democratic National Convention in Denver, Colorado on August 25, 2008. She gave a warm speech to convention-goers that evening. 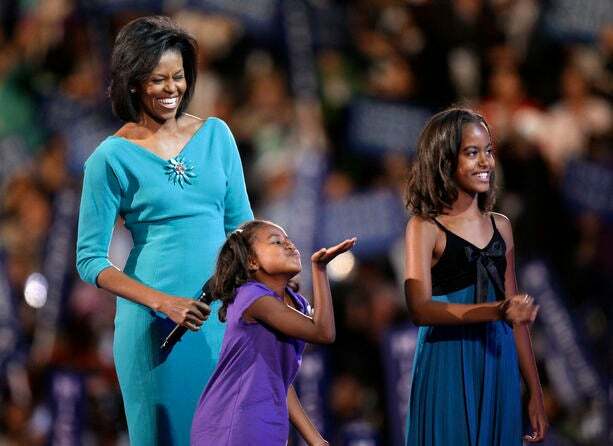 Mrs. Obama looks on as her youngest daughter, Sasha, then just seven years old, blows a kiss to her father during the 2008 Democratic National Conference. Mrs. Obama and Sasha share a sweet moment. 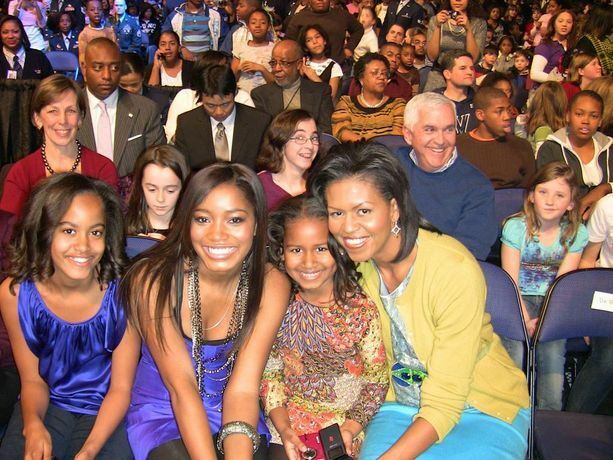 Mrs. Obama and her daughters join teen star Keke Palmer (center) at an event. 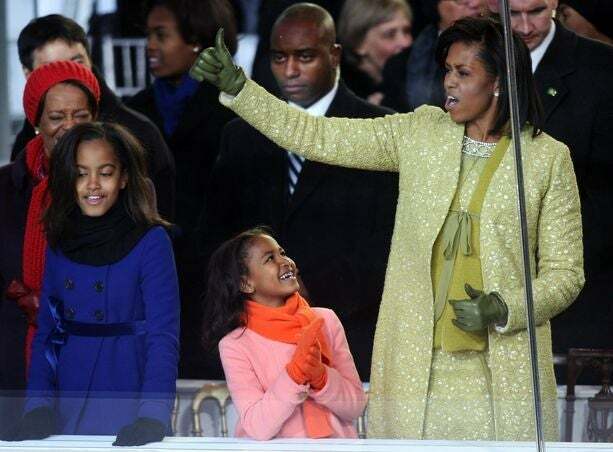 First Lady Michelle Obama and daughters Malia, 10, and Sasha, 7, greet supporters during the inaugural parade on January 20, 2009. Mrs. Obama and her girls enjoy one of many jazz concerts at the White House in June of 2009. 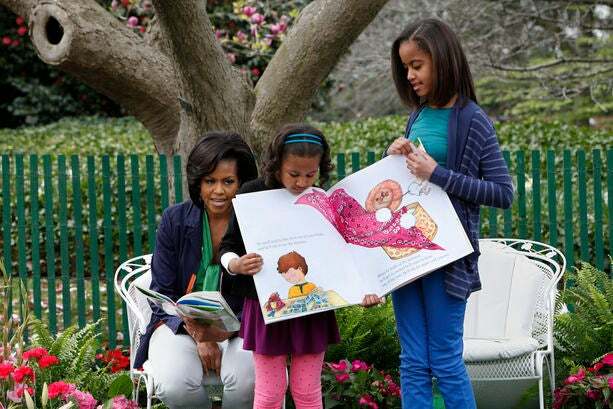 First Lady Michelle Obama says her girls are her greatest gift. A hectic schedule doesn’t stop this Mom-in-Chief from making it home for dinner with her girls on most nights. 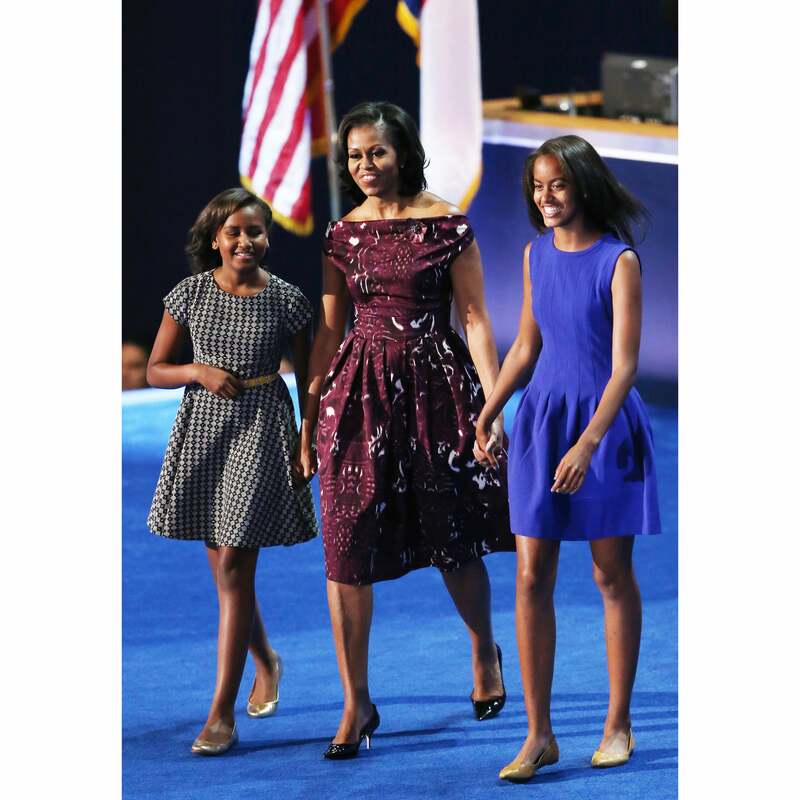 “I want to make sure that the girls are doing well, and that they feel like they have the love and attention they deserve from their parents, regardless of what positions we hold," First Lady Michelle Obama told Good Housekeeping Magazine. Mrs. Obama shares a loving glance with daughter Malia on her 11th birthday on July 4, 2009. 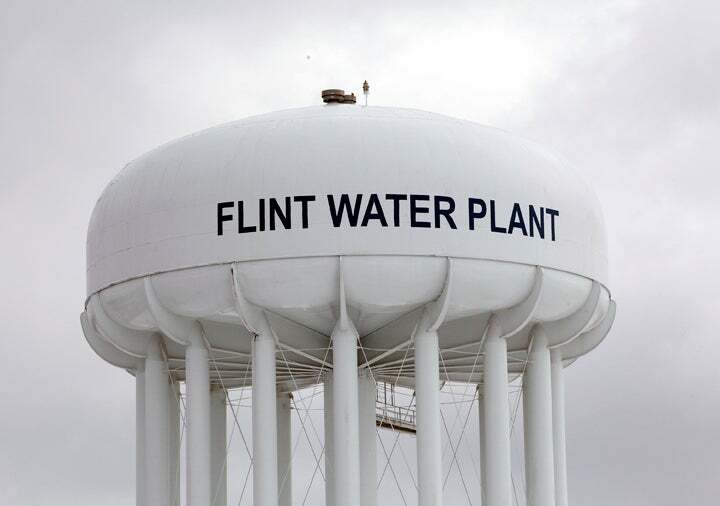 “They’re the first thing I think about when I wake up in the morning, and the last thing I think about when I go to bed at night,” said Mrs. Obama in a speech at the 2008 Democratic Convention. The Obamas always make a point to give the girls an eventful summer break. 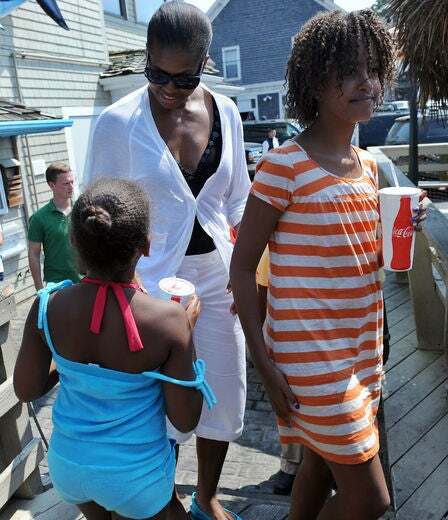 Here they are vacationing on Martha’s Vineyard on August 26, 2009. Mrs. Obama took her daughters to Paris during her husband’s first year in office. Lucky girls! 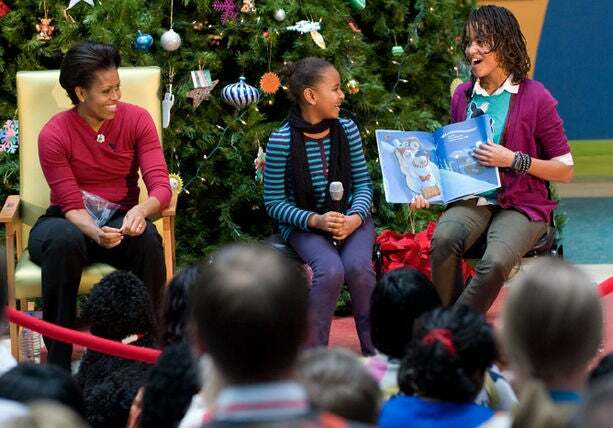 The proud mom looks on as her daughter Malia reads at a holiday celebration at the Children’s National Medical Center on December 22, 2009. 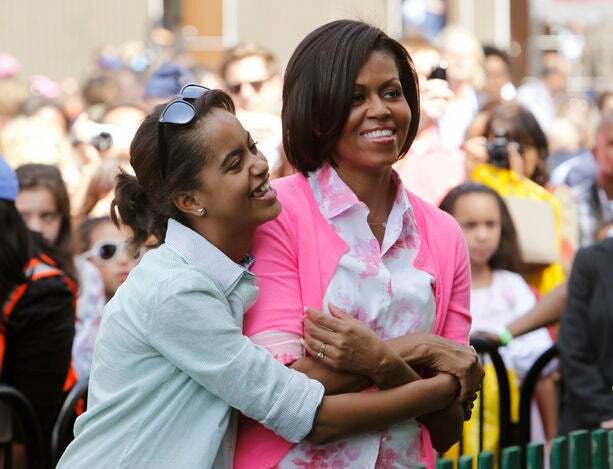 Malia and her mother dance together at the White House Easter Egg Roll on April 5, 2010. How adorable! Mrs. Obama fixes Sasha’s pretty dress before going to meet the King and Queen of Spain in August of 2010. This is one of our favorite photos of Mrs. Obama. Mother and daughter, Sasha, share a private moment during their summer trip to Spain. Sasha tags along with her beautiful mom. It’s hard to believe Malia is almost as tall as her mom. 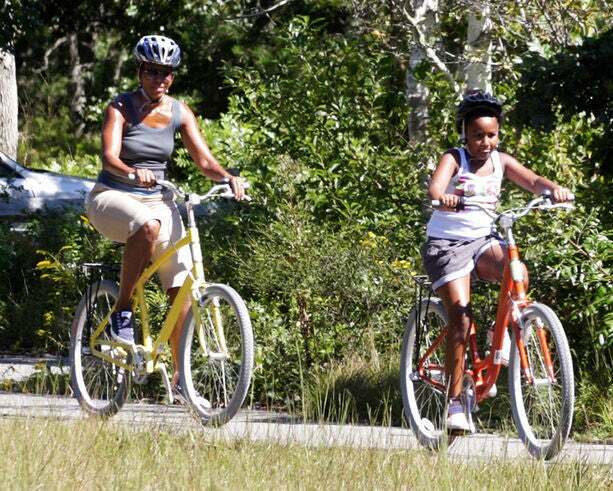 Mrs. Obama and Sasha, 9, take a bike ride through Martha’s Vineyard’s Manuel Correllus State Forest in West Tisbury, Massachusetts in August of 2010. Malia and her mom walk on the White House lawn as they return from their Martha’s Vineyard vacation in August of 2010. Malia is certainly turning into a beautiful young woman. 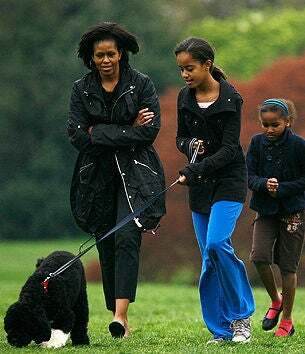 Mrs. Obama and her daughters walk Bo, the family dog. 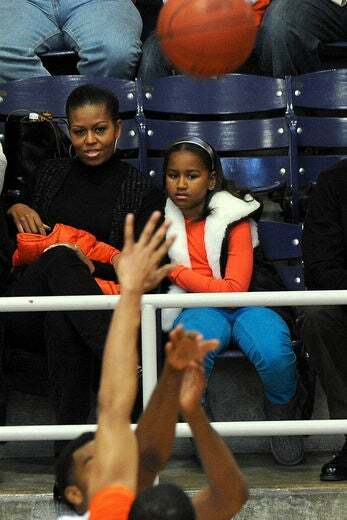 Michelle Obama and Sasha watch a college basketball game between Howard University and Oregon State, which is coached by Michelle’s brother Craig Robinson, in November 2010. The First Lady says living in the White House “has been the greatest single benefit” for her family. “It means that we see each other every day. 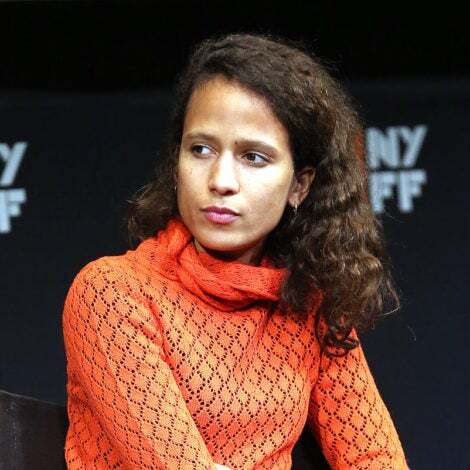 And that hasn’t happened for most of the kids’ lifetime,” she told Time Magazine in 2009. Mrs. Obama’s close relationship with her daughters is an inspiration to many. Mrs. Obama and the girls looked lovely in sunny yellow during a tour of Latin America. Check out mom and daughters looking gorgeous during their tour of Latin America. Mrs. Obama is certainly raising roses. Michelle Obama, in a Rachel Roy trench, with daughter Malia walk across the South Lawn in March 2011 upon returning to the White House. 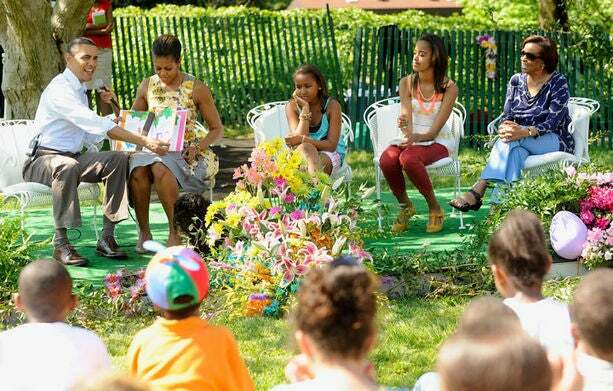 The Obama family reads ‘Chicka Chicka Boom Boom’ to children during the White House Easter Egg Roll in April 2011. 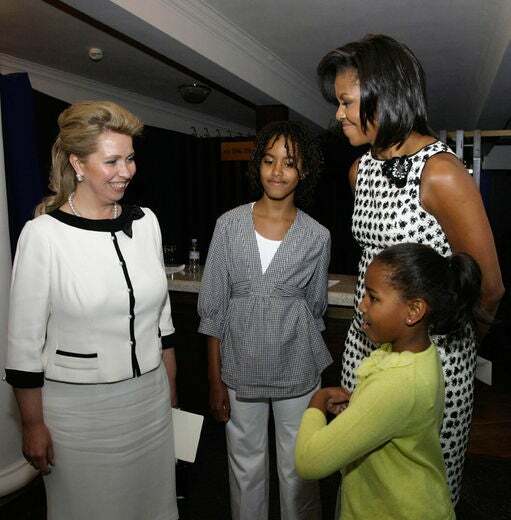 The First Lady and her daughters Malia, 12, and Sasha 10, arrive in Pretoria, South Africa in late June of 2011. 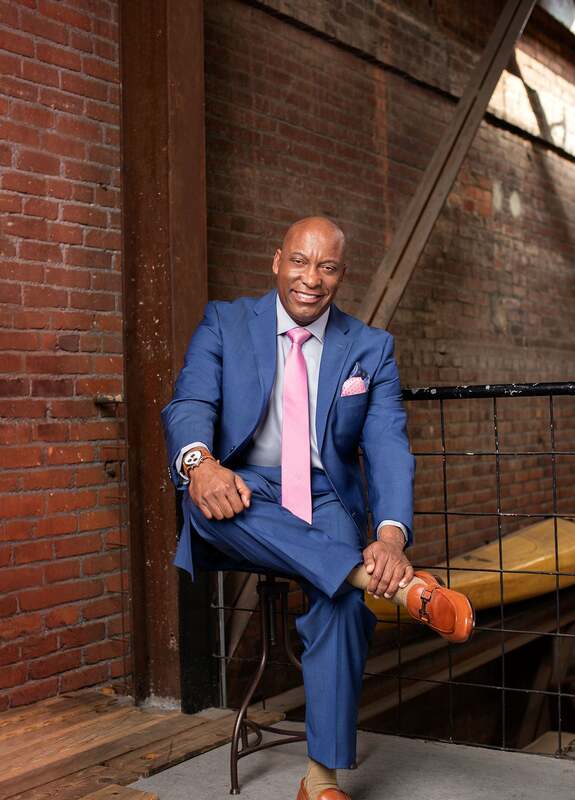 They then headed to Johannesburg to begin a week-long trip. The First Lady and her daughters, Sasha and Malia, take time to read a story to the children of Emthonjeni Community Center in Johannesburg, South Africa in June 2011. 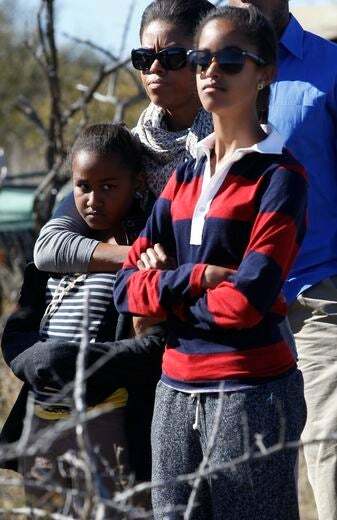 Mrs. Obama and daughters, Malia and Sasha, listen to their guide during a safari in Madikwe Game Reserve in South Africa in June 2011. Our First Lady, in a Jason Wu floral dress, and her daughter Malia, 13, share laughter during a walk to church in Washington, D.C. in July 2011. Mrs. Obama looks lovely. 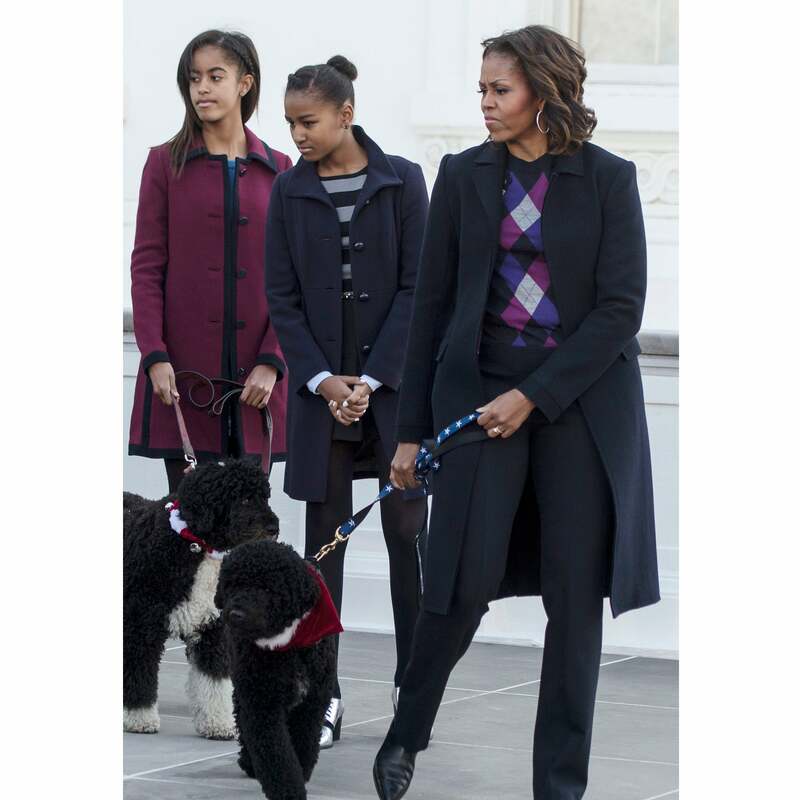 First Lady Michelle Obama and daughters Sasha and Malia, along with dog Bo, receive the White House Christmas tree. 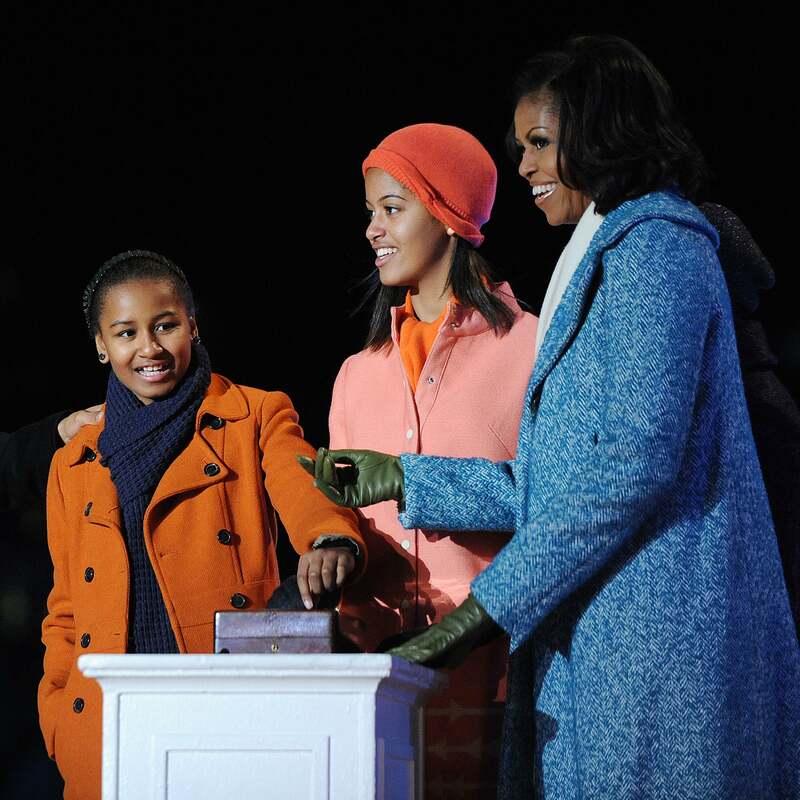 First Lady Michelle Obama and her daughters, Sasha and Malia, attend the annual National Christmas Tree Lighting on the Ellipse in Washington, D.C. on December 1, 2011. 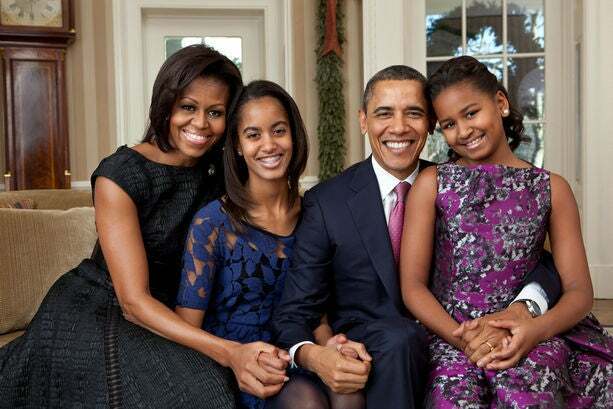 At the end of the year, President Barack Obama, First Lady Michelle Obama, and their daughters, Sasha and Malia, shared this very special family portrait in the Oval Office. It’s their final official picture of 2011. 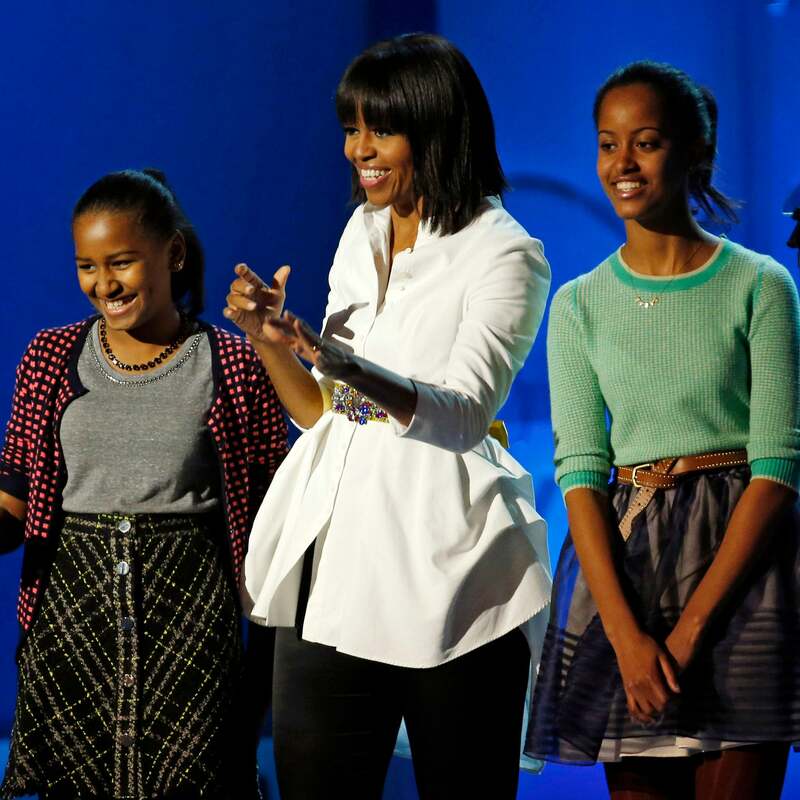 Sasha Obama, First lady Michelle Obama, and Malia Obama walk on stage during the Democratic National Convention in 2012. The First Lady and her daughters are presented with the official White House Christmas Tree in 2012. The Obama ladies light the 90th National Christmas Tree during the Lighting Ceremony on the Ellipse behind the White House in 2012. 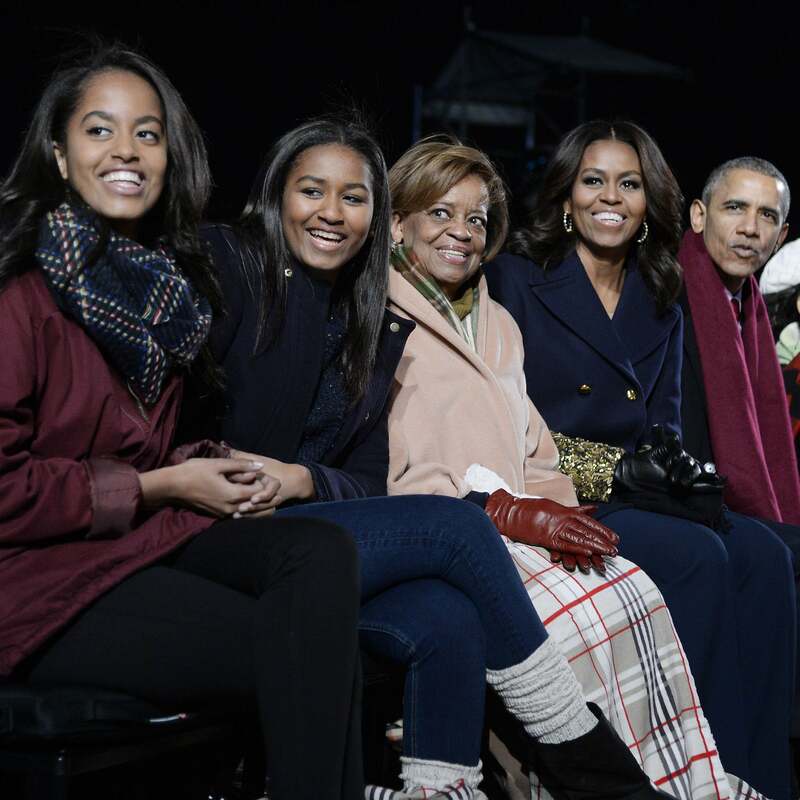 Barack Obama, Sasha Obama, Malia Obama, and First Lady Michelle Obama attend TNT Christmas in Washington 2012. 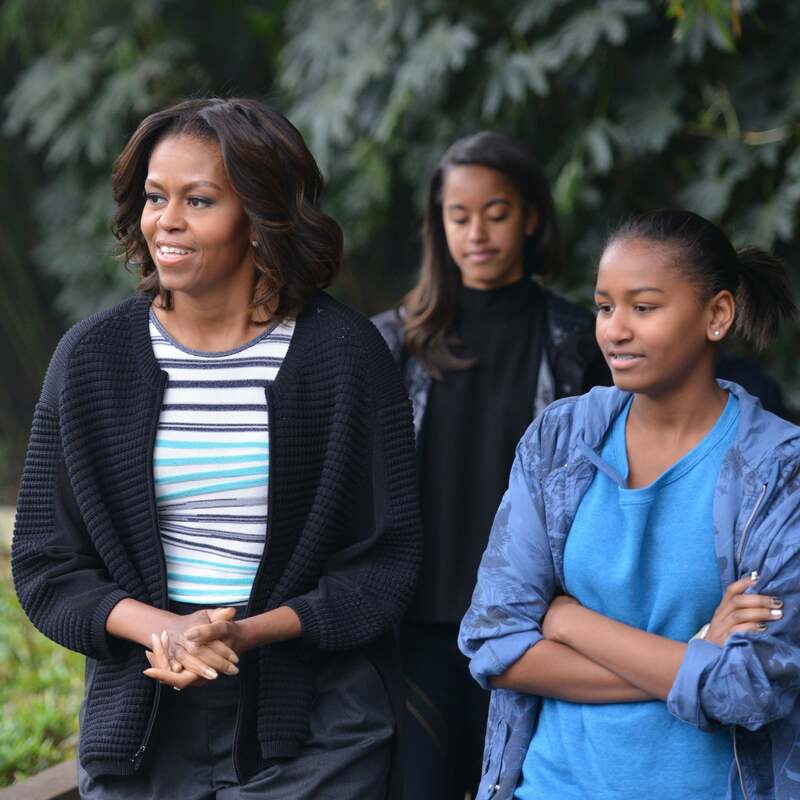 Mrs. Obama and daughter Sasha walk along the White House lawn in 2013. 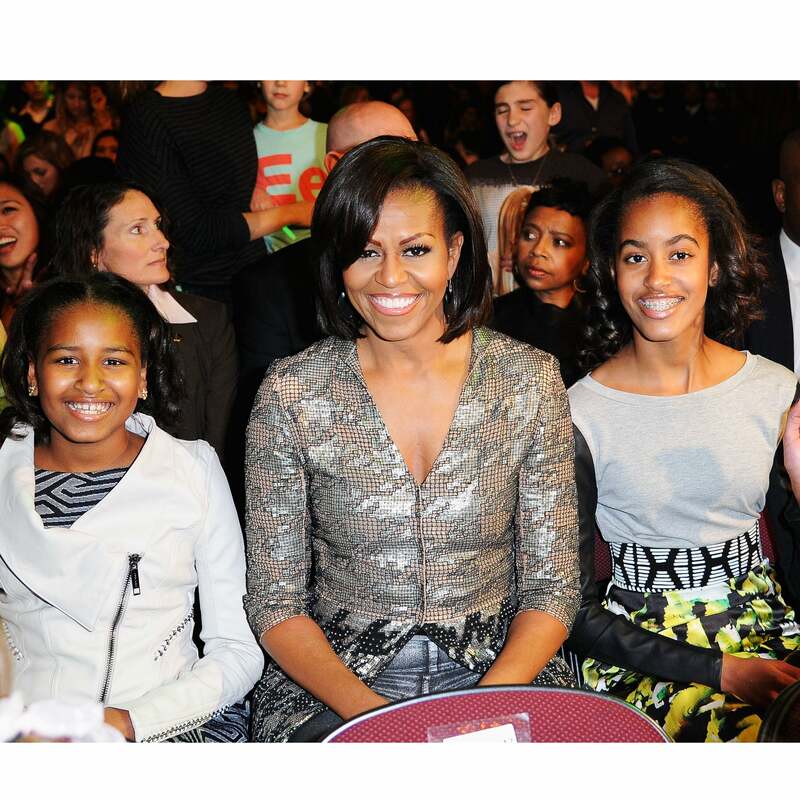 Michelle Obama is flanked by her daughters at the Kids Inaugural Concert at the Convention Center in Washington, D.C in 2012. 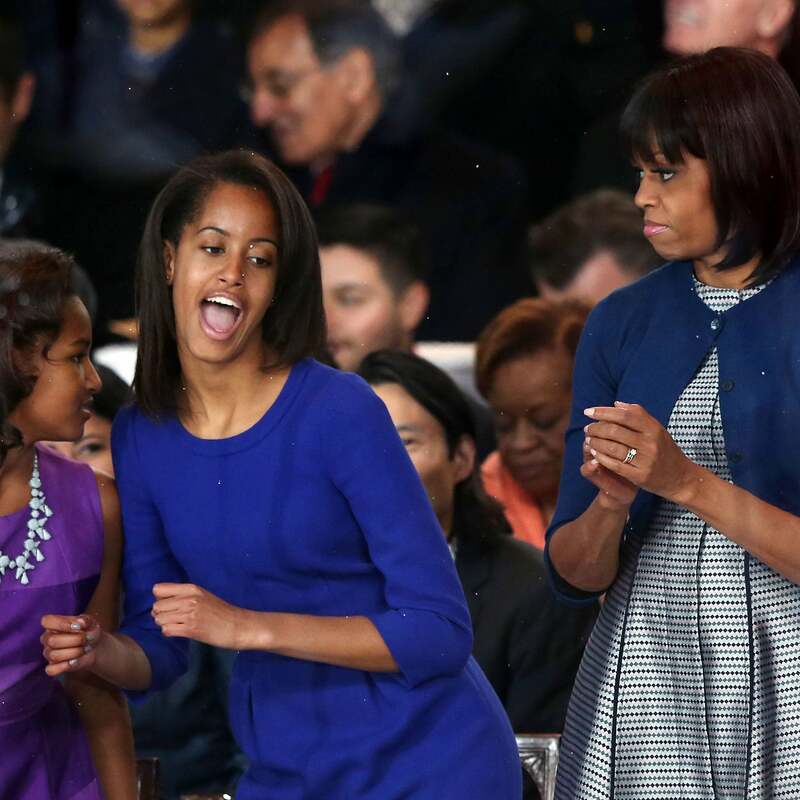 Malia Obama gets down with her sister and mother during the presidential inaugural parade in Washington D.C. in 2013. 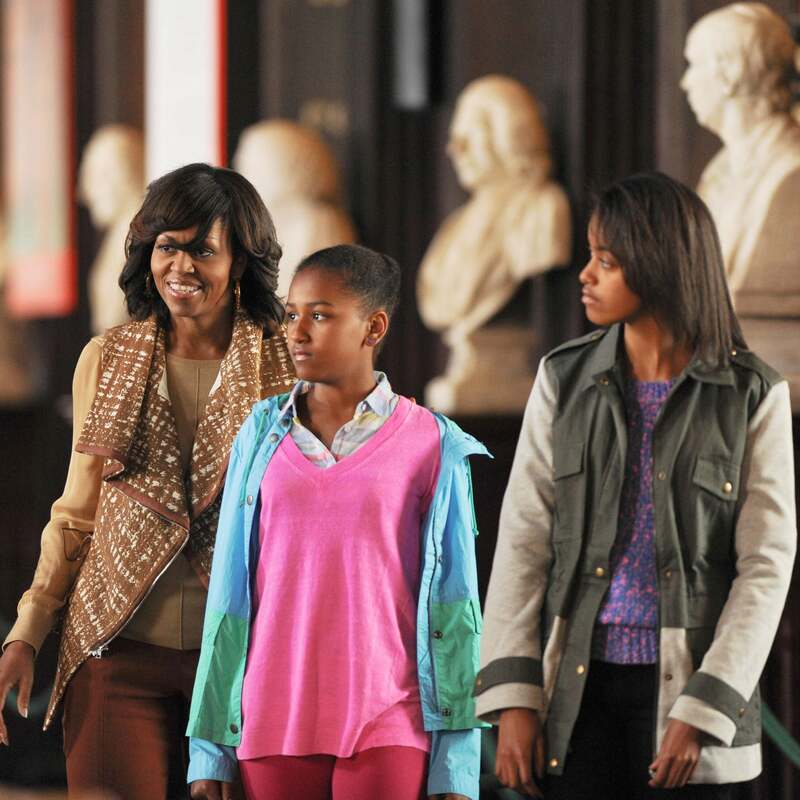 First Lady Michelle Obama acompanied by her two daughters, Sasha and Malia, tours the Old Library Building at Trinity College, Ireland's oldest university, in 2013. The Obama ladies take in the scene while visiting Glendalough in the Wicklow Mountains National Park in Ireland in 2013. 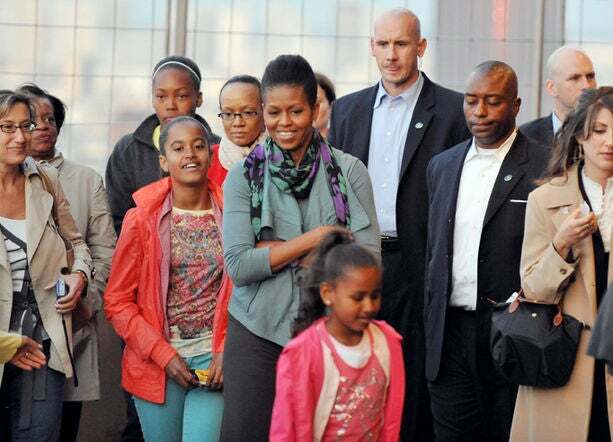 The Obamas arrive in Berlin in 2013. Michelle Obama hugs her daughter Sasha as they arrive to visit the Holocaust Memorial in Berlin Germany in 2013. Lady Michelle Obama and daughter Sasha make their way to board their helicopter to begin their week long trip to Africa. 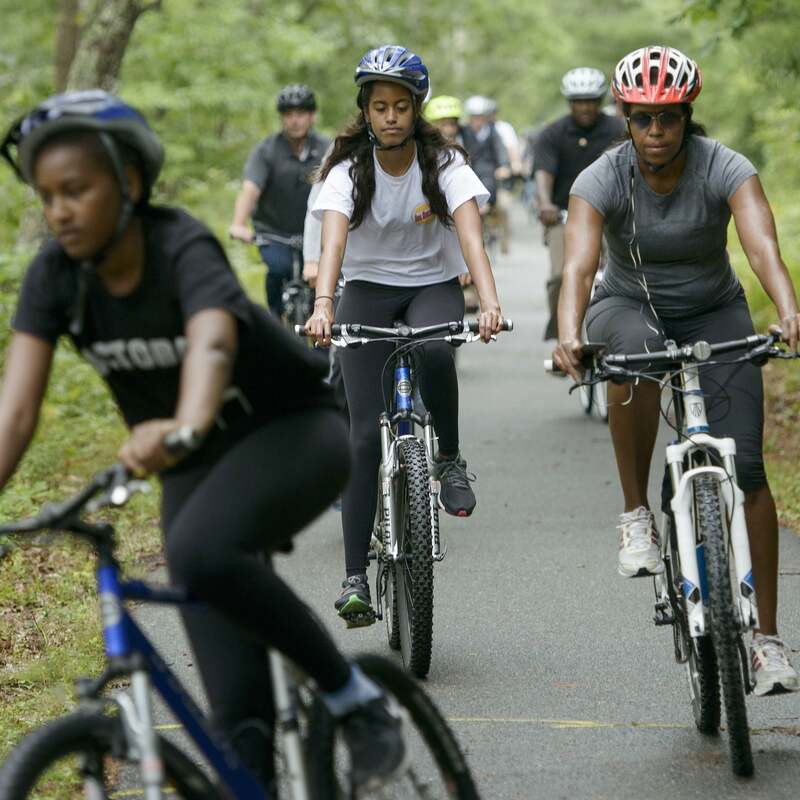 Michelle and Sasha Obama put some miles on their bikes during a trip to Martha's Vineyard in 2013. 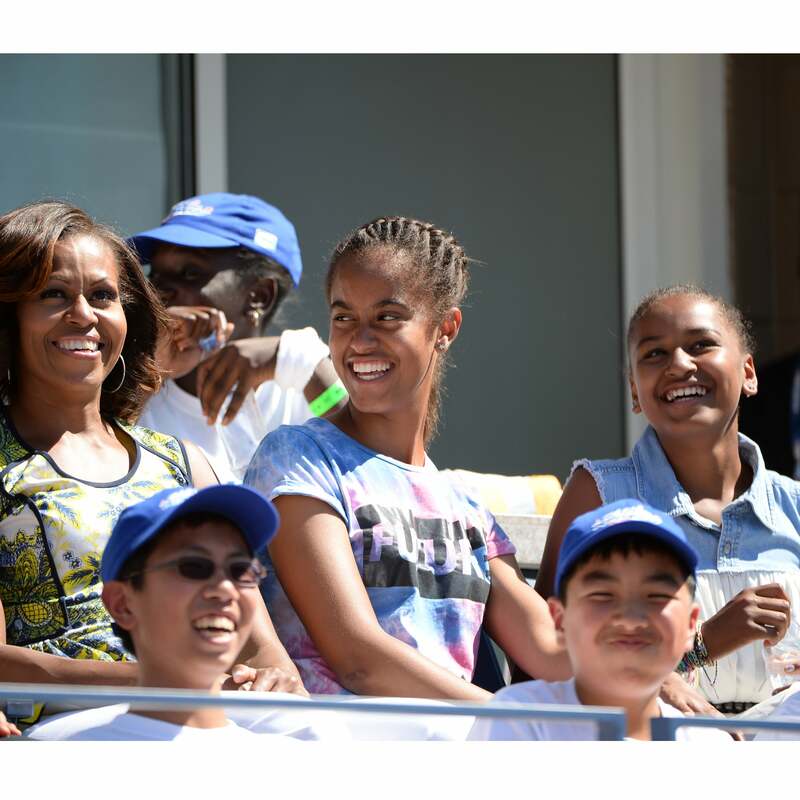 Michelle, Sasha and Malia Obama enjoy a game during the 2013 Arthur Ashe Kids Day at USTA Billie Jean King National Tennis Center. 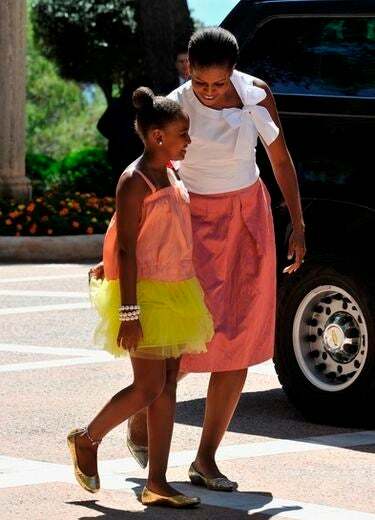 Michelle Obama and daughter Sasha coordinate their outfits on their way to Saint John's Episcopal Chuch for Sunday services in 2013. 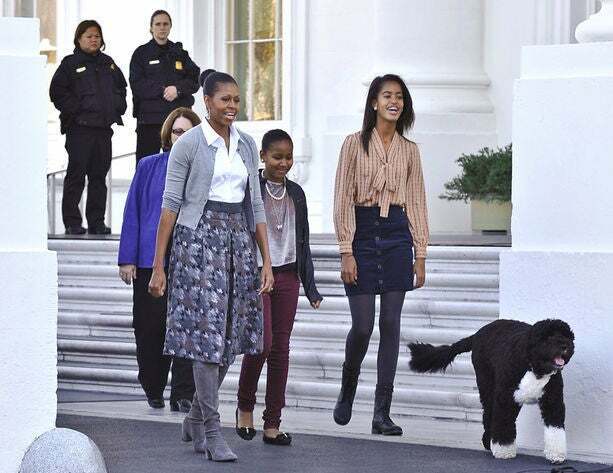 The Obama ladies walk their dogs Sunny and Bo as they wait for the White House Christmas tree to arrive in 2013. 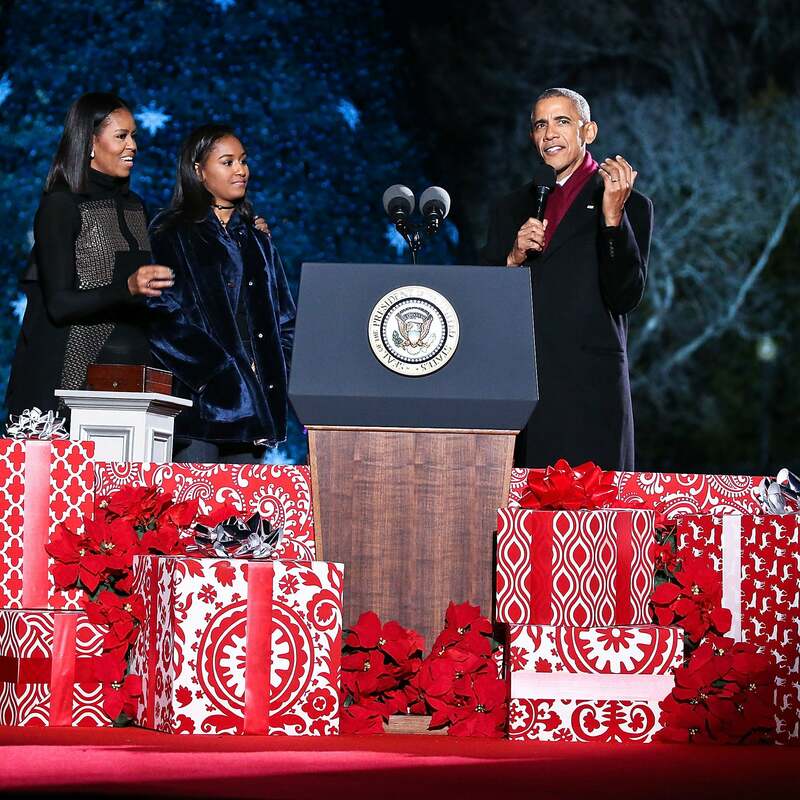 The Obamas sing carols during the finale of TNT's "Christmas in Washington" in 2015. 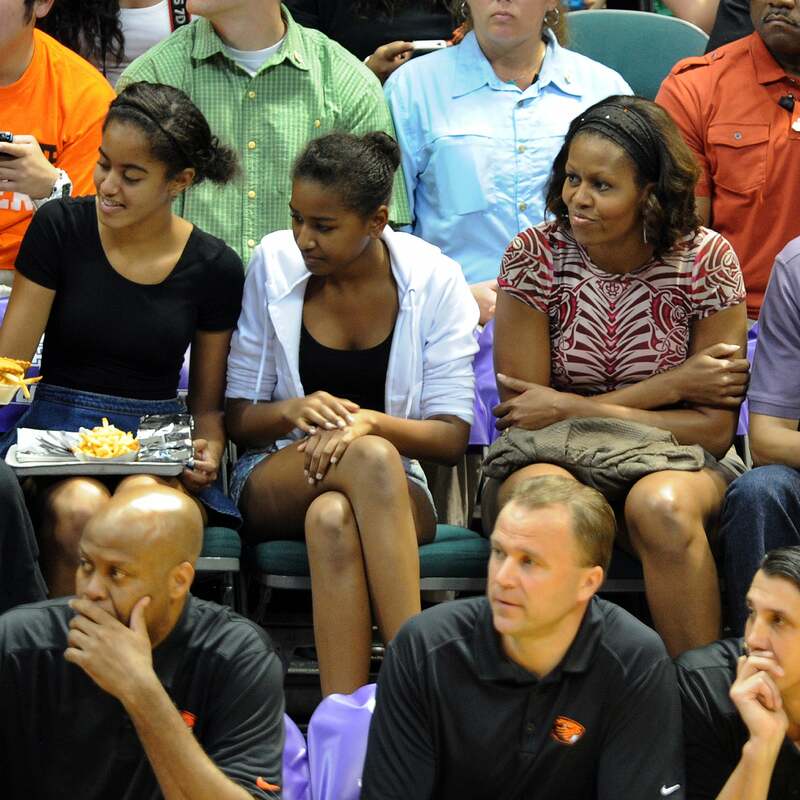 The Obama ladies watch the Oregon State University vs University of Akron college basketball game in Honolulu, Hawaii in 2013. Michelle Obama, her mother Marian Robinson, and daughters Sasha and Malia arrive at Beijing Capital International in 2014. Michelle Obama is greeted by Chinese President Xi Jinping with her daughters in tow in Beijing. 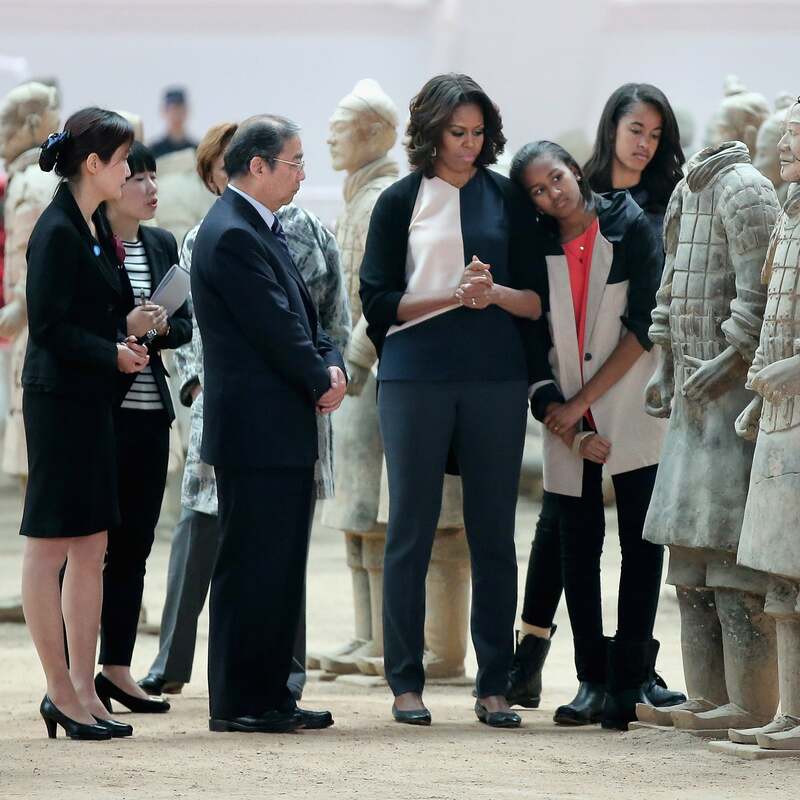 irst Lady Michelle Obama and her daughters visit Museum of Terracotta Warriors during a visit to China. Michelle and her daughters take in a performance at the Xi'an City Wall in China in 2014. The Obama ladies arrive at the Giant Panda Research Base in China in 2014. 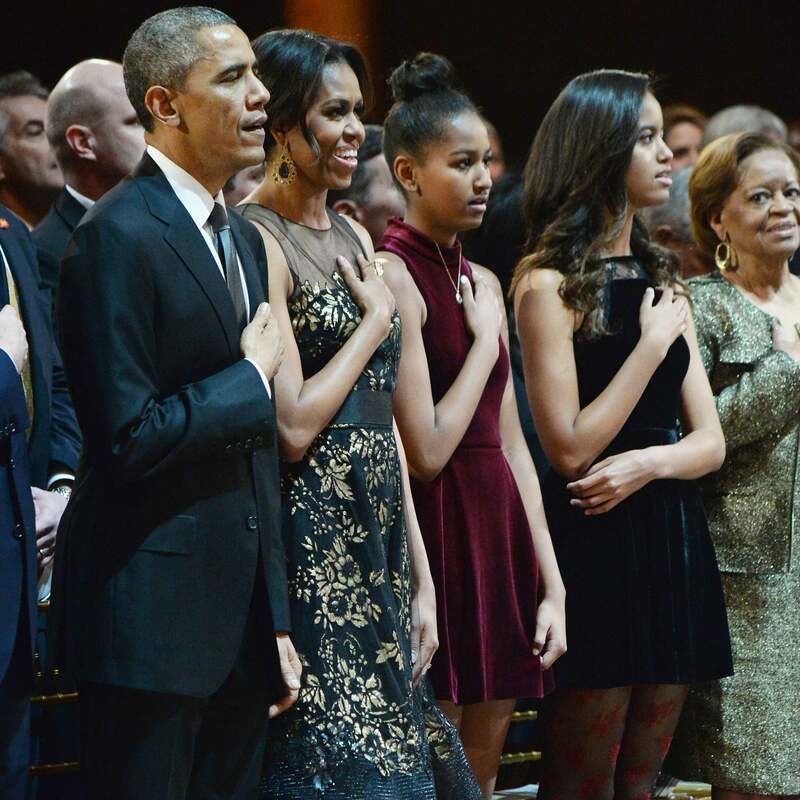 The Obamas attend TNT Christmas in Washington 2014. 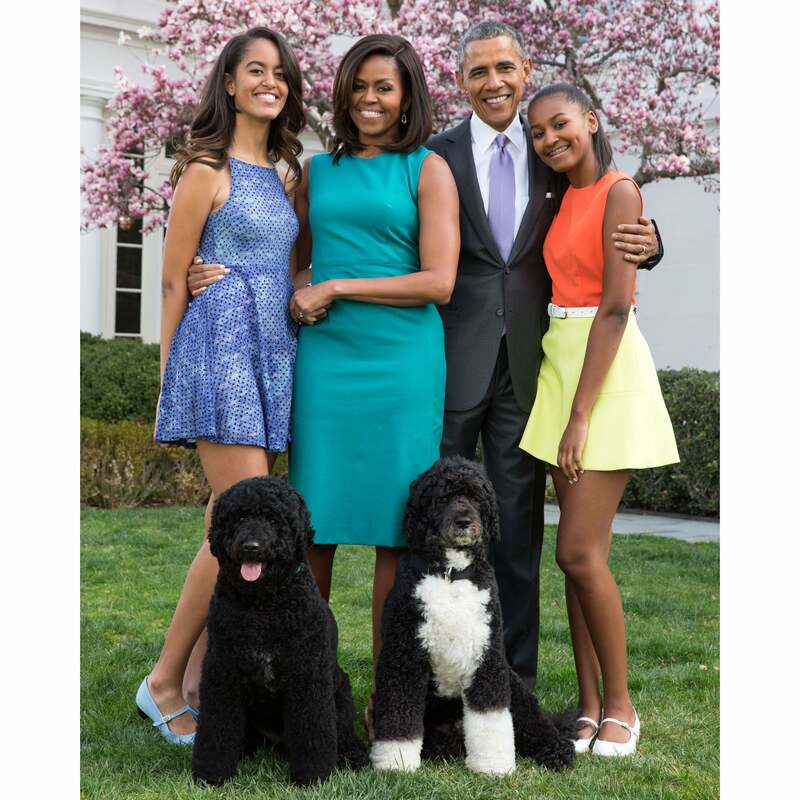 The Obamas release their family Easter photo in 2015. 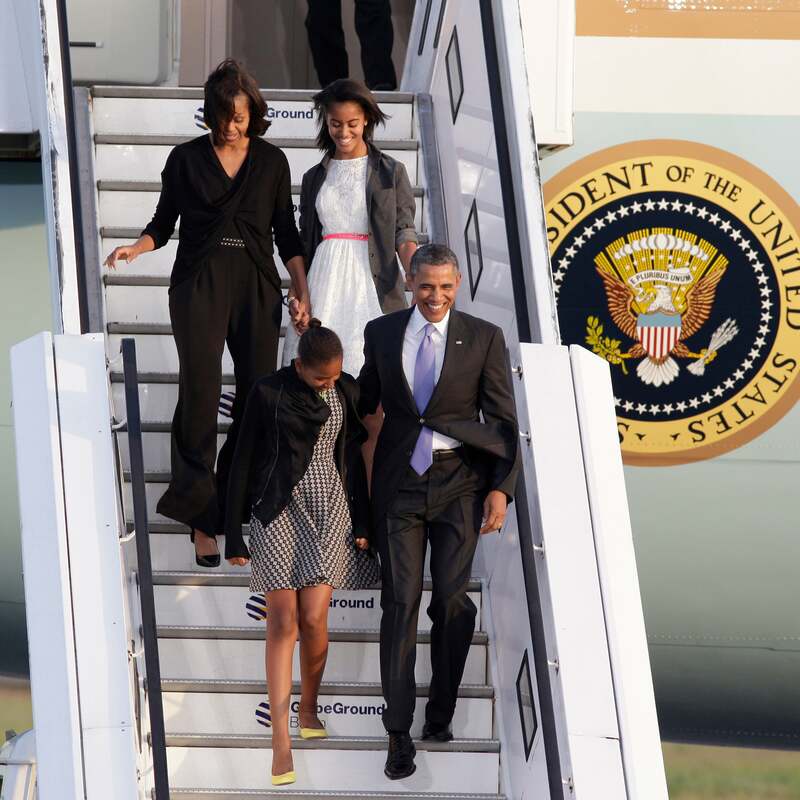 The Obama Ladies arrive in Milan Italy in 2015. 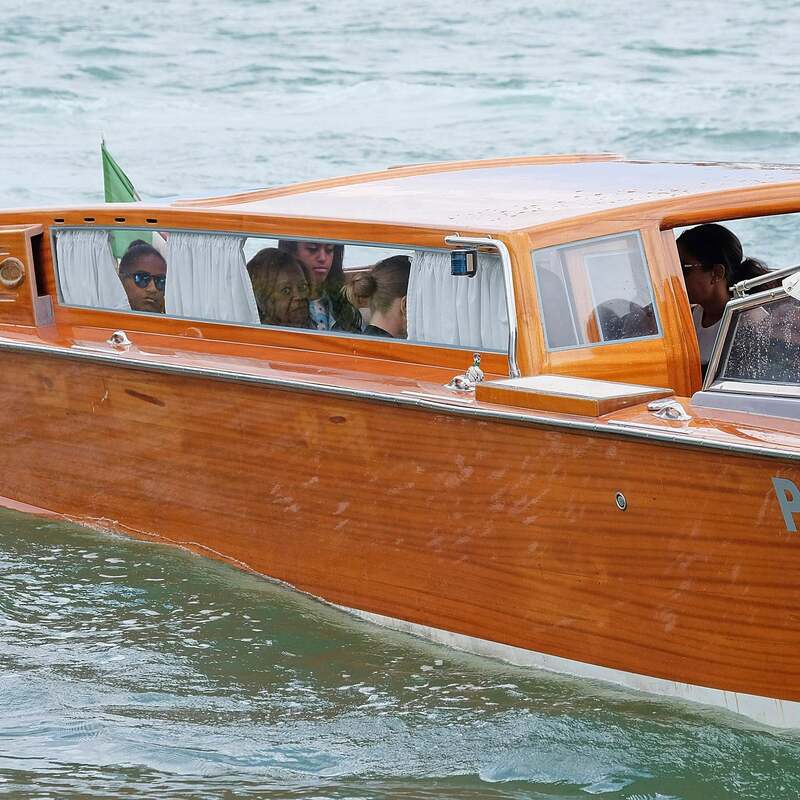 The First Lady sails with her mother and daughters in Venice, Italy in 2015. The Obamas attend the national Christmas tree lighting ceremony on the Ellipse south of the White House in 2015. 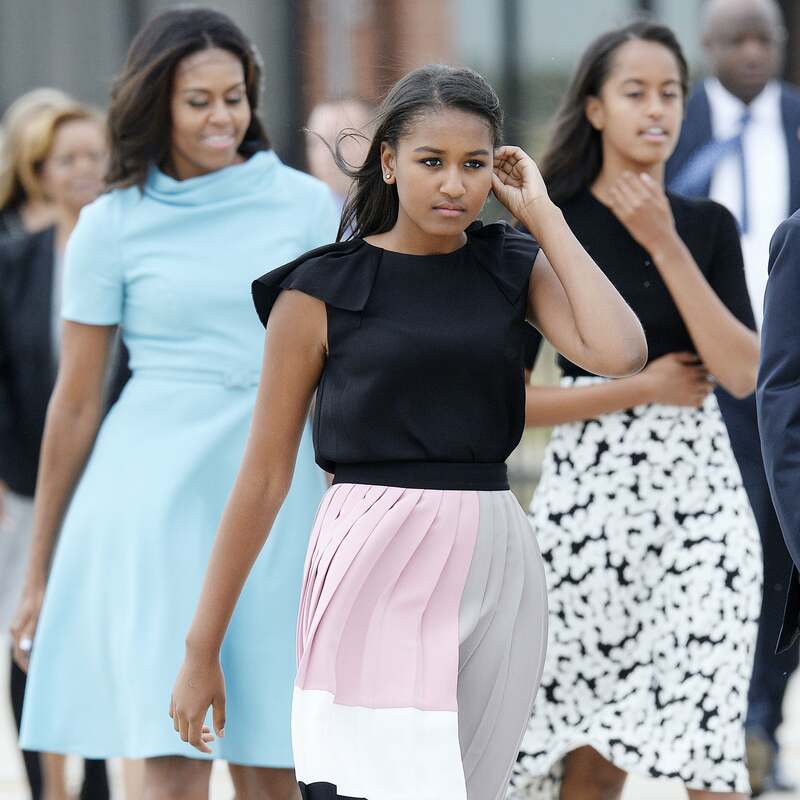 Michelle and her daughters head to tea in London in 2015. 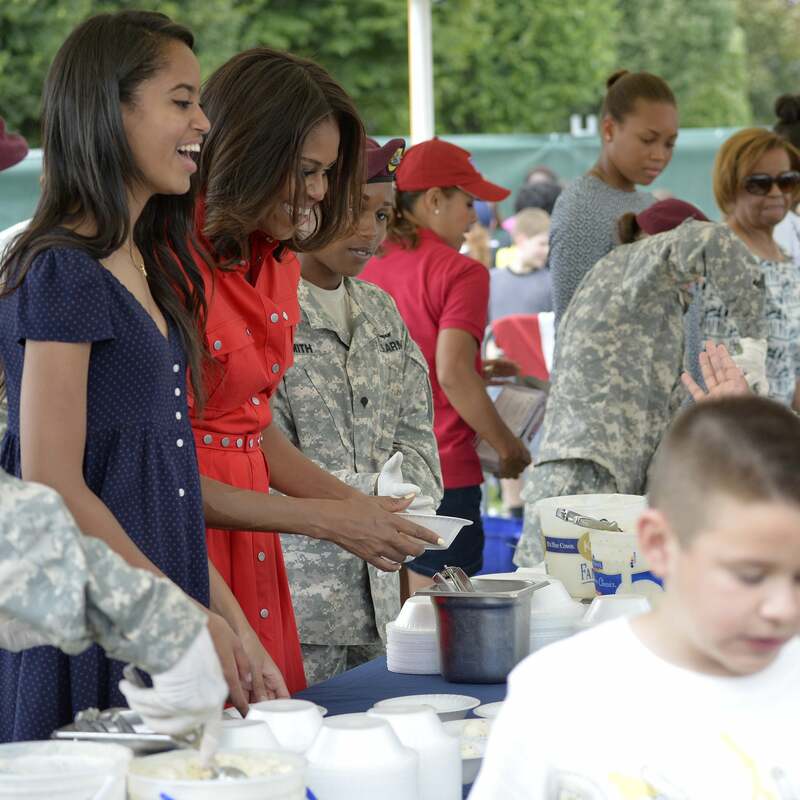 Michelle Obam and her daughter Malia have lunch with soldiers and guests during her visit to the US and NATO Army base of Vicenza, northeastern Italy in 2015. 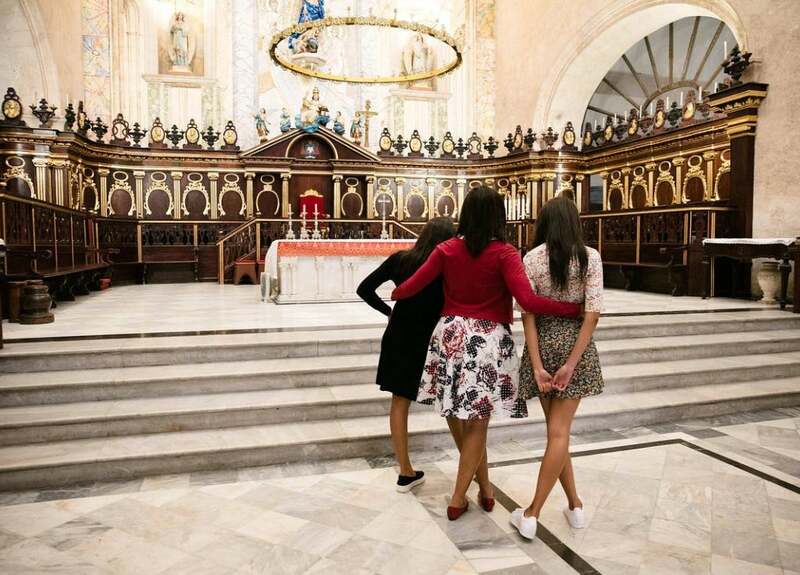 Michelle, Sasha and Malia visit at the US pavillon of the Venice Biennale venue on June 20, 2015 in Venice. The Obamas were back riding their bikes in Martha's Vineyard in 2015. The Obama ladies look vacation ready in Venice, Italy. 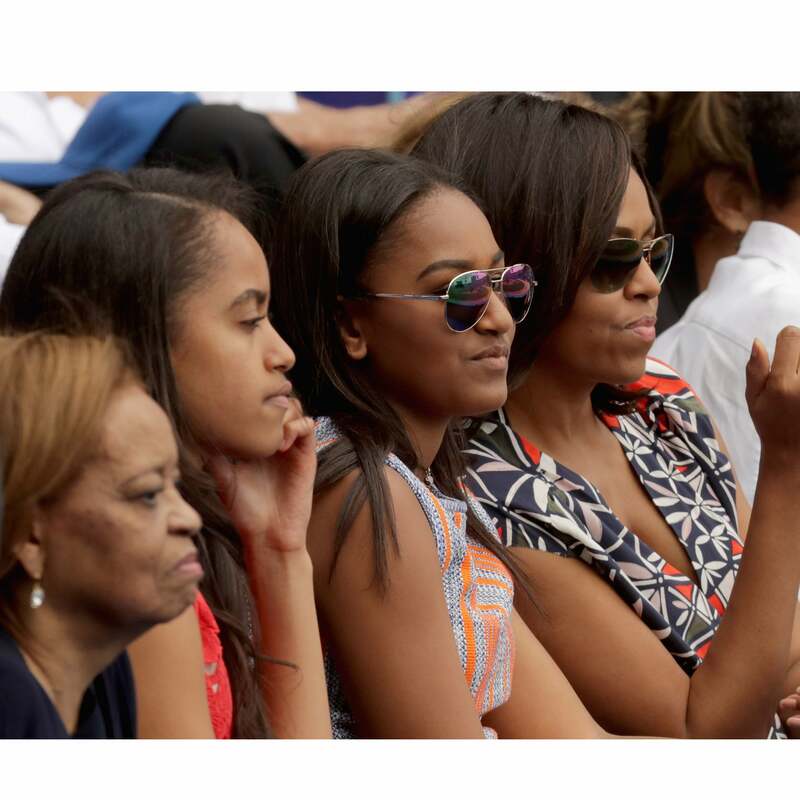 Michelle, her mother and her daughters catch a baseball game during their visit to Cuba. First Lady Michelle Obama and daughters Sasha and Malia arrive to welcome Pope Francis at Joint Base Andrews, Maryland in 2015. 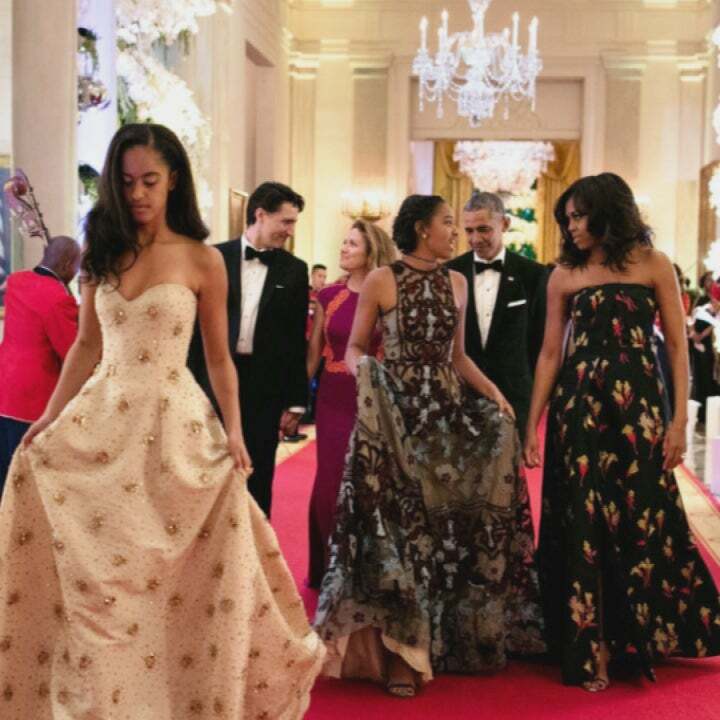 The Obama ladies float through the White House in gorgeous gowns for the Stat Dinner in 2016. 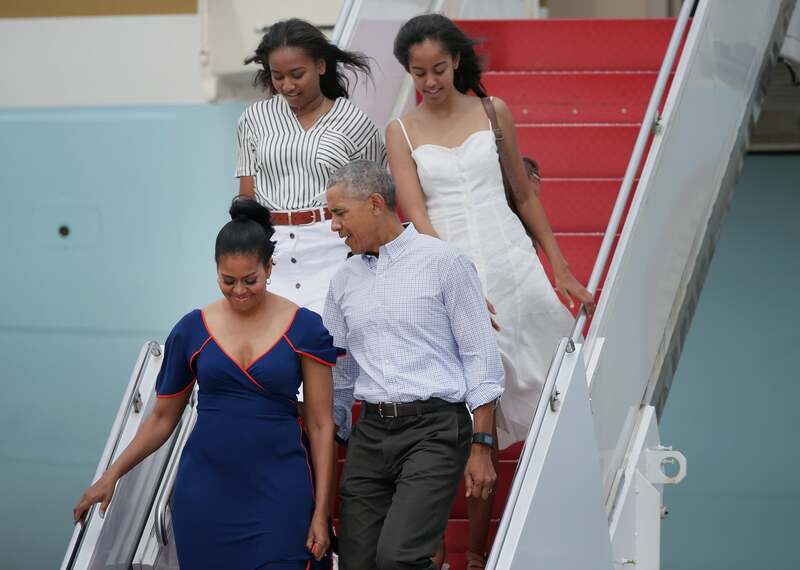 Michelle, her mother Marian, Sasha and Malia arrive in Sunny Madrid back in June, 2016. 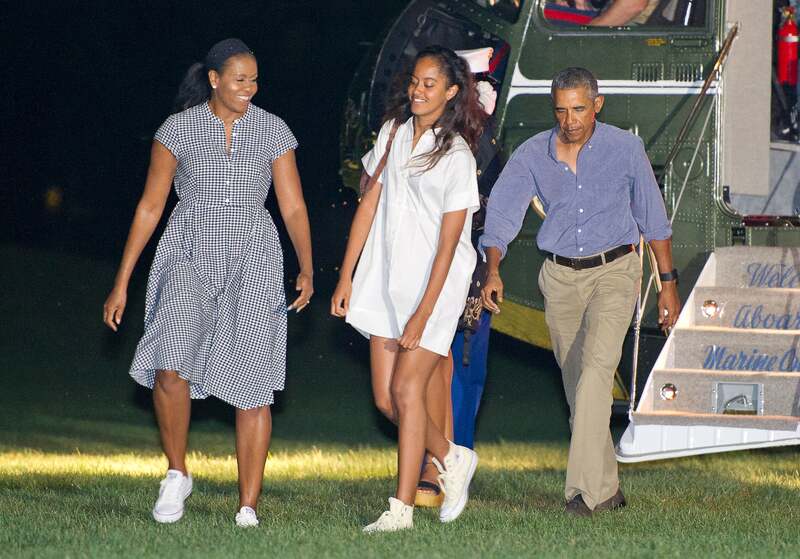 Michelle, Mr. President, and their daughters arrive in Martha's Vineyard for a much needed vacation in August 2016. The Obama's arrive back at the White House after their family vacation to Martha's Vineyard in August, 2016. Michelle and Sasha light the tree with President Obama.